On the heels of its revolutionary brand refresh, Best Western® Hotels & Resorts successfully repositioned itself as an authentic, modern, unique brand in the eyes of today’s travelers. Understanding that this generation of traveler desires much more than just a hotel stay, and in order to remain current in the minds of discerning globetrotters, Best Western recently developed a way to keep pace and tap into consumer demand for once-in-a-lifetime travel experiences. In fall 2017, during its annual global convention, the brand launched “Experiences by Best Western Rewards®,” giving Best Western Rewards (BWR®) members an additional perk to redeem points for priceless activities in sought-after bucket list destinations. To kick off the program, the Best Western team hosted a special evening event, taking place during its annual Convention. The event to celebrate the new launch of Experiences by Best Western Rewards had three primary objectives: •	Plan and execute a special, memorable event that gave media a one-of-a-kind experience while highlighting the new benefits of BWR and its new Experiences program; •	Leverage the event to garner media coverage for BWR, solidifying its place as a leading player in the loyalty space – one that is constantly improving and evolving; and •	Subtly underscore the company’s expanding global portfolio, showing that today’s Best Western features properties in iconic destinations. The launch event for “Experiences by Best Western Rewards” targeted elite media in the hotel, travel and business sectors. Evolving with the changing demands of today’s travelers, Best Western saw the opportunity to provide loyalty program members with one-of-a-kind experiences that go beyond just a place to stay. Digging into what today’s travelers desire, Best Western launched packages in sought-after destinations, including an aerial tour of the Grand Canyon and a culinary tour of San Francisco, as part of the Experiences by Best Western Rewards program. Best Western’s communications team planned an event during the company’s annual Convention, introducing the program to media in attendance. A multi-course dinner at one of the area’s most unique restaurants inspired attendees, as did VR headsets bringing “Experiences” to life, demonstrating what today’s BW is all about, as well as the rich rewards offered by BWR. Attendees received an overview of the program and an invite to experience one of the new packages at a later date, with a fun Polaroid camera gift to help them capture the memories. Experiences by Best Western Rewards is different than any other loyalty program offering, inviting travelers to redeem points for inspiring adventures bookable with a personal concierge. The new program is part of BWR’s refresh, aiming to offer value-rich incentives – rewards that mean something – to today’s travelers. With Best Western’s use of innovative, 360-degree videos now available online, travelers can get a sneak peek of the program, using VR to see what the buzz is all about. This event was a success, capturing 100% of the Convention’s media attendees –18 journalists from around the world – including USA Today, Hotel News Now, Hotel Interactive, Hotel Management, Hotelier, Panrotas, Johnny Jet, Business Travel News and Canadian Lodging News. 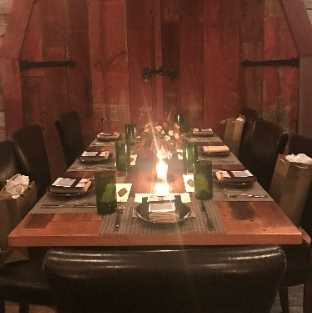 Attendees participated in a fun, interactive dinner – where they sampled packages via VR headsets and received Polaroid camera gifts to enhance their own experiences, which could be booked with the PR team at a later date. This was a “WOW” for media and resulted in coverage almost instantaneously. Most importantly, the coverage drove real interest around the program; after the event: o	21,000 travelers visited the ExperiencesbyBWR site with 424,000 hits o	BWR’s 360-degree videos were viewed 14,000 times on YouTube o	Social media efforts generated more than 55,000 impressions o	“Experiences by Best Western Rewards” supported BWR’s 22% increase in annual membership, and 45% contribution of brand revenue in 2017.